Home / How To Invest / 5 More Mistakes Made By Stock Investors That Could Lose You Money! In my previous post, I talked about five common mistakes investors make that could lose you money in the stock market. While we all know that the path to success is paved with failure and many mistakes along the way, when it comes to investing we don’t want to make too many expensive ones! If anything, we want to minimize our losses as much as we can whenever we commit a mistake in the stock market so we can live to fight another day! While mistakes are always inevitable, avoid these five more mistakes I’ve listed below as best you can and protect yourself from making any unnecessary losses in your investments. A common mistake often made by stock investors – they tend to look at the previous year’s hot stocks thinking it will be the same this year and into the future. However there’s no guarantee that a recent hot stock is going to stay “hot” all the time. It could come crashing down the moment you buy them because the stock has already ran its race and the smart investors are already cashing out. Always remember: past performance is no guarantee of future results. Every investor wants their investments to perform and produce the best returns. And in my opinion, the best way to achieve that is develop and stick with a long-term investment strategy (look how well Warren Buffett has done for himself!). Once you’ve done your research and analysis and you’re confident in the long-term growth prospects of a stock, stick with it and watch it grow! But if you frequently chop and change your portfolio in order to chase the latest hot stock or tip, you will never give your research and investments the time or opportunity to prove you right. The most expensive investment mistakes are generally based on the twin emotions of fear and greed. When the stock market crashes, investors panic and abandon their stocks due to the fear of losing their money… when in fact the crash is the best time to pick up great stocks at bargain prices.Similarly, when the stock market is on bull run, investors become greedy and buy more stocks speculating that prices will continue to rise even higher… until the bubble bursts. An investor who is ruled by his emotions will always lose money in the stock market. An investor who stays calm, disciplined and is ruled by logic will always make money in the stock market in the long run. Eventually your investments will start to see some gains and returns. At this point, some investors will start to get greedy, sit on a stock and speculate that prices will always go higher – only to see the stock come crashing down. Other investors might be fearful, panic and sell their stocks too soon – only to see the stock rise higher and higher. Therefore it is necessary to always have a clear exit strategy for every investment you make. When is a stock overvalued? Has a stock’s fundamentals changed or are thy still intact? Is there any growth left in the company? 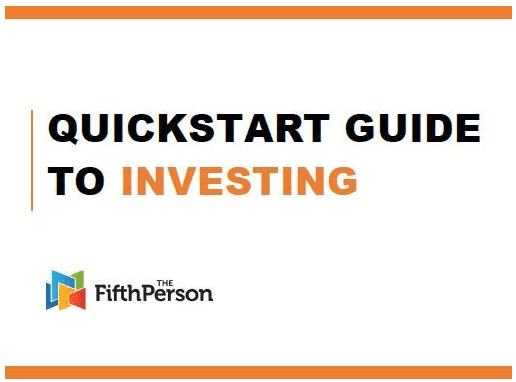 Answering these questions will help you plan carefully and be realistic about when is the best time to exit an investment – before it crashes down or regardless of whether to continues to go up. It is my belief that stock investors should establish a long-term investment strategy based on your unique financial needs, age, risk tolerance and the amount of money you have to invest. Every investor has different needs and you need to tailor your investments accordingly. Always perform your own due diligence regarding any stock. Keep a regular watch on your portfolio to ensure your investment choices are still meeting your objectives. Never be afraid in making strong decisions whether it’s cutting your losses or holding on to your guns when your stock pick seems to be tanking. As long as you’re confident and sure of your analysis, hang in there! Do these things and take heed of the investment mistakes listed above, and you will get better and better in the stock market! 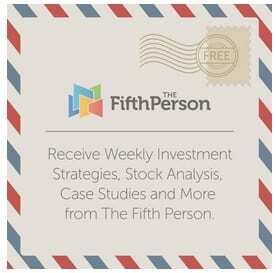 ← Previous Story 5 Common Mistakes Made By Stock Investors That Could Lose You Money!